A redesign of the old Turnberry Arran course, Kintyre’s new holes provide stunning views of the rugged cliffs and the sea and present a challenge worthy of its sister course. 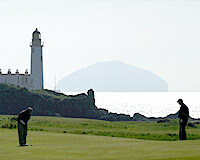 Turnberry Kintyre is also home to the Colin Montgomerie Links Golf Academy. 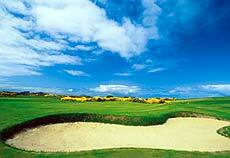 In 2004, the Kintyre hosted The Open Championship final qualifying round.